The Mogao Grottoes in China, situated near the town of Dunhuang on the fabled Silk Road, constitute one of the world’s most significant sites of Buddhist art. The hundreds of caves carved into rock cliffs at the edge of the Gobi desert preserve a thousand years of exquisite art. Founded by Buddhist monks as an isolated monastery in the late fourth century, Mogao evolved into an artistic and spiritual mecca whose renown extended from the Chinese capital to the western kingdoms of the Silk Road. Among its treasures are miles of stunning wall paintings, more than two thousand statues, magnificent works on silk and paper, and thousands of ancient manuscripts, such as sutras, poems, and prayer sheets. 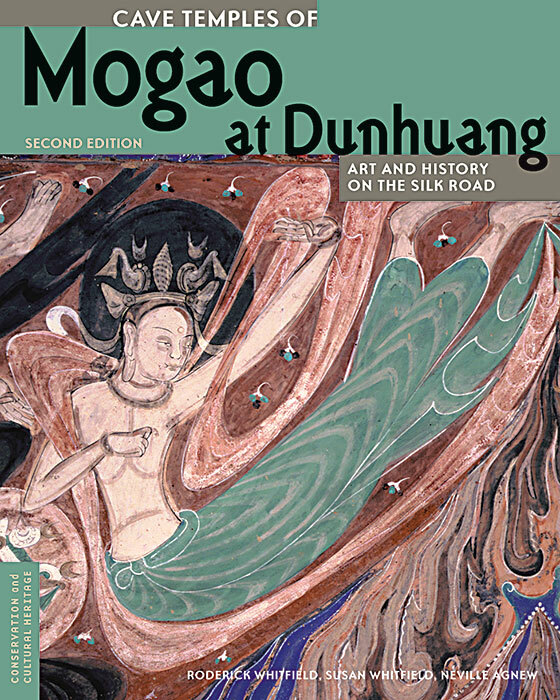 This new expanded edition, Cave Temples of Mogao at Dunhuang (first published in 2000), combines lavish color photographs of the caves and their art with the fascinating history of the Silk Road to create a vivid portrait of this remarkable site. Chapters narrate the development of Dunhuang and the Mogao cave temples, the iconography of the wall paintings, and the extraordinary story of the rare manuscripts— including the oldest printed book in existence, a ninth-century copy of the Diamond Sutra. The book also describes the collaboration between the Getty Conservation Institute and Chinese authorities in conservation projects at Mogao and the ways the site can be visited today. This publication can be ordered at shop.getty.edu.